I just don’t get it! President Obama has successfully expanded the Bush drone offensive against AL-Qaida and its ilk, and now the bleeding hearts have their undies in a bunch because a few of the targeted terrorists happen to be American, most by unusual circumstances. They question the constitutionality of the policy. And yet I’ve heard no one question the FBI killing of Jimmy Lee Dykes, the murderer of the Alabama school bus driver and the kidnapper of the 6-year-old child from his bus. After nearly a weeklong standoff, and with Dykes sounding more and more desperate and irrational, the FBI executed a brilliant assault on Dyke’s bunker, killing him and rescuing the child. 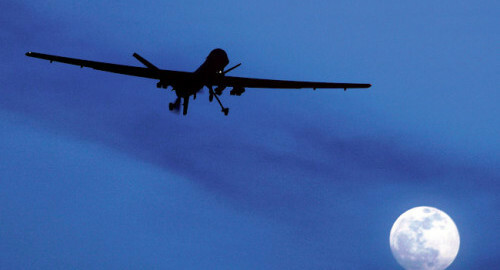 The terrorist operatives who have been taken out by drone strikes are frequently quite senior in their respective organizations, are sworn killers of Americans and in some cases have actually orchestrated terrorist attacks that killed innocent Americans. They deserve to die, as Dykes did. So why the moral outrage? Like so many things fanned by a preying media, they are just nightly distractions from truly important issues. As responsible citizens, we can discern between a valid issue and an irrelevant distraction, and withhold our attention/energy from the latter. The Navy SEAL who shot Osama bin Laden has granted an interview to Esquire magazine, in which the writer, Phil Bronstein, dwells as much on “The Shooter’s” (he can’t use his real name) beef with the Navy as much as the actual action in Abbottabad, Pakistan, where bin Laden was tracked down and killed. Seems the now-famous SEAL chose to leave the Navy after 16 years of active duty, four years short of the regulation 20 for retirement benefits. As deserving as he is of his country’s gratitude, and of our admiration and respect for his tough professionalism, it’s difficult to understand his decision to leave on 16. He insists he was not counseled by the Navy about his post-service benefits. He’s having problems finding a job and making ends meet for his family. After 16 years of honorable service with dozens of dangerous deployments, he doesn’t think he’s being treated fairly. Every sailor knows the magic number is 20 years for retirement benefits, and in recent years personnel scheduled for separation can opt to receive specific transition counseling, training in job-hunting skills such as writing a resume, and Veterans Administration education and health care benefits. If he were suffering from “burnout,” and he may well have been, he had the option of serving those last four years in a training role or an administrative job. After consulting with one of my local SEAL friends, it’s likely the Navy SEAL Foundation will step in to provide the aid and counseling he may need. Not surprisingly, like the Marines, a basic SEAL ethic is to never leave a man behind. “The Shooter’s” plight could even cause the military to rethink retirement benefits criteria depending on the career specialty. In some respects, the discussion might be justified, but it also could open a can of worms.